Haryana Roadways Driver Recruitment 2015: Haryana Roadways Transport Corporation has declared the notification to recruit the eligible candidates for the 725 Driver vacancies. Candidates who are looking for the Haryana Govt jobs 2015 can apply this recruitment before the last date of the application. Our Indrajobinfo.co.in website has publish the direct link for the Haryana roadways driver recruitment notification and application form. It will be appear at the end of this webpage. If you want to more details about the Haryana jobs 2015 then you have to click the given link. Candidates can download the application form from the official portal at hartrans.gov.in. We are kindly request to the candidates must bookmark our website by pressing Ctrl+D for upcoming jobs updates. There you have to regularly keep visit our site to get the suitable job opportunity, The application must read the Haryana roadways recruitment notification for eligibility criteria details. Candidates who have complete the 12th/ITI/Graduation or its equivalent educational qualification they can eligible to apply this Haryana Roadways Driver jobs 2015-16. The age limit of the applicants should be between 18 years to 35 years, This recruitment has provide the age relaxation for the candidates as per the govt guidelines. Selected candidates will be based on the academic merits and driving test. Scale of Pay: Rs. 12, 000/- PM. 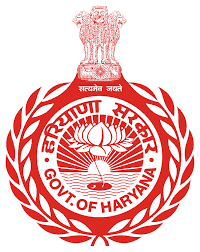 Download Link: Haryana Roadways Driver Recruitment Notification and Application Form 2015. Step 1: Applicants must open the official site hartrans.gov.in. Step 7: Post the filled application along with copies of necessary document to given address.